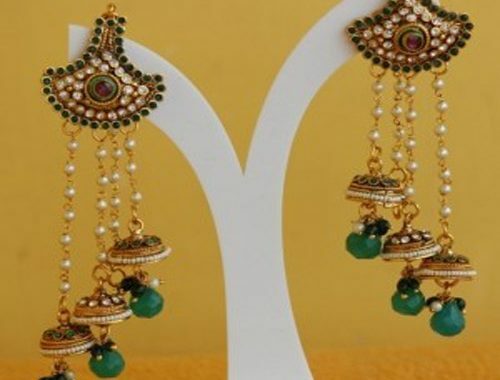 Find latest marvellous multi line hanging jhumkas.Flaunt these beautiful grand ear covering jewellery on traditional attire! 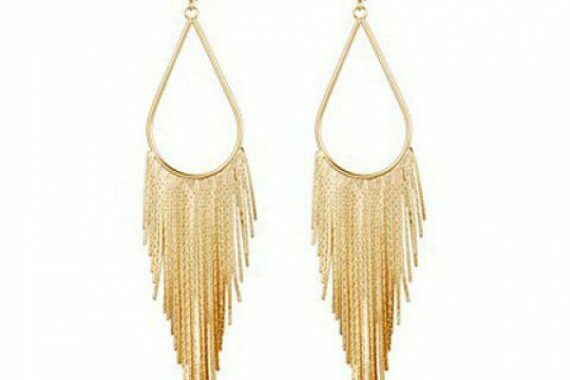 Pair of Fashion Long Tassels Alloy Earrings For Women. 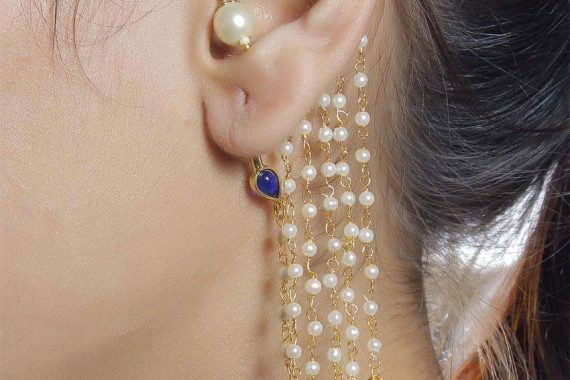 Fresh water pearls gold plated long earrings for ethnic wear. 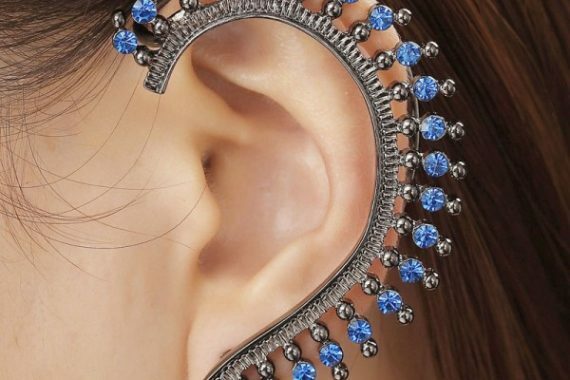 Rhinestone ear cuff earrings with gun metal plating.